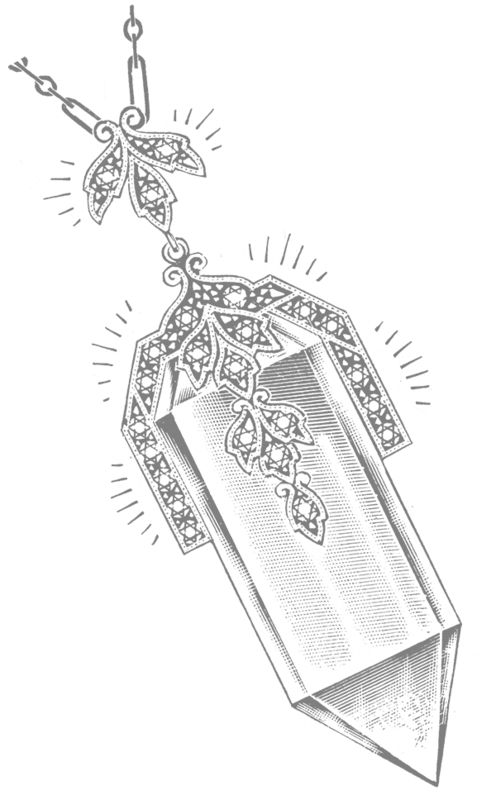 Copperfield’s mission is to find the most interesting and unique items to bring together under one roof and provide an amazing shopping experience to our customers. Browsing our items may very easily turn into the acquisition of an heirloom-quality item, especially if you are browsing our jewelry! Most of our jewelry is not new. Bought at auctions, estate sales, second-hand stores, or wherever, these items are our precious finds that we now present to you: antique brooches, glittering pendants, dazzling rings—we especially look for gold, silver, precious stones, amber, cameos, jade, and more. Our stones and precious metals are tested in-house, or, if necessary, by professional jewelers. A favorite attraction for most of our customers is often our whimsical brooch jacket. Clothing a standing dress-form out on our floor is a magical jacket that is completely covered in vintage brooches, all of which are there not only for your browsing pleasure, but also for purchase—and at very nice prices! It is not uncommon for customers to buy five or more of these fun but inexpensive little treasures! In addition to necklaces, brooches, rings, bracelets, and earrings, we also are pleased to offer a variety of men’s jewelry items, such as money clips, tie bars and tacks, rings, bolo ties, and more. 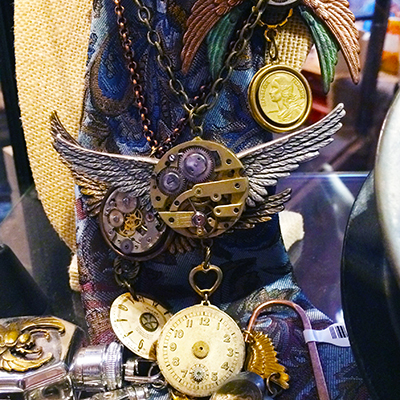 We are also very pleased to feature in our store the steampunk creations of jewelry artist Peter Andrews. Using old watch parts, gears, and other interesting ornamentation, Peter assembles amazing lockets, earrings, tie tacks, flasks, and more to make amazing wearable art pieces. Please ask one of our associates to tell you more about Peter Andrews and his amazing art! All of our jewelry is a joy to look through, but hidden among the jewelry can be found truly heirloom-quality pieces, items that can be passed on to children as family treasures. One such category of jewelry is wedding and engagement rings—an antique wedding ring is something precious and beautiful, as well as something that makes you stand out from the crowd! We also often have charm bracelets in stock—items that may have taken people a lifetime to assemble! A full, solid-gold charm bracelet would be an amazing gift to give to that special someone! 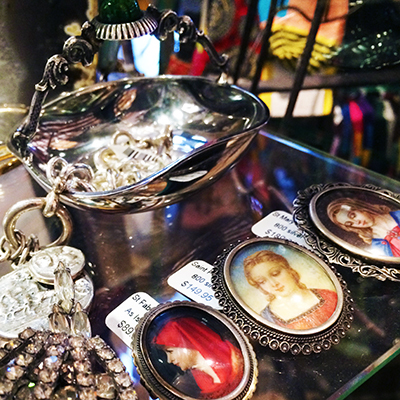 In addition to jewelry, Copperfield’s also sells amazing sterling silver serving dishes, bowls, candlesticks, and more! These kinds of household items are also heirloom-quality, and would make great gifts at housewarmings, baby showers, weddings, and many other domestic milestones. 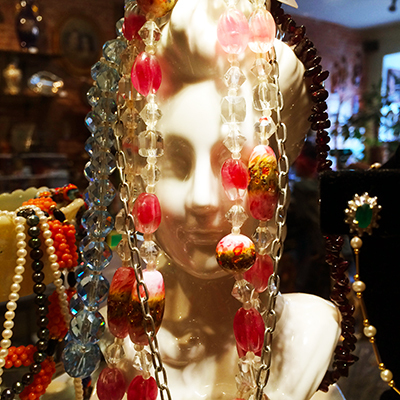 If you are looking for a gift that is unique and precious, come into our store and take a look around. And feel free to ask our friendly associates for help finding the perfect gift!